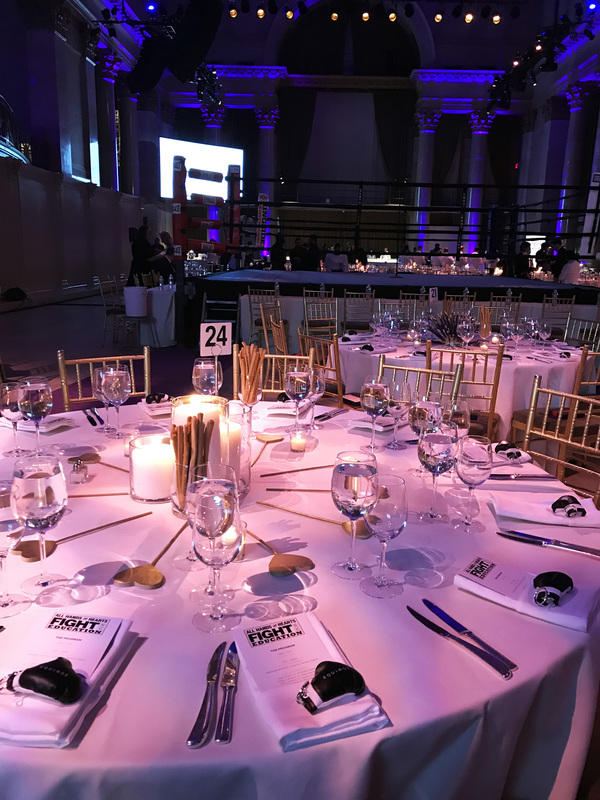 ​All Hands and Hearts, co-founded by philanthropist and supermodel Petra Nemcova, called on Empire once again to produce their Third Fight for Education gala in the renowned Cipriani Wall Street. On February 15, leaders from finance, sports, and fashion gathered to support the All Hands and Hearts mission to address immediate and long-term needs of communities impacted by natural disasters by engaging and leveraging volunteers, partner organizations and local communities. The action-packed evening was kicked off by internationally-acclaimed tenor James Valenti singing the National Anthem. After the moving performance, Petra invited All Hands and Hearts volunteer, former NFL star, and Good Morning America anchor Michael Strahan to speak about his recent experiences with the foundation as they worked to rebuild Houston after the devastation of Hurricane Harvey. 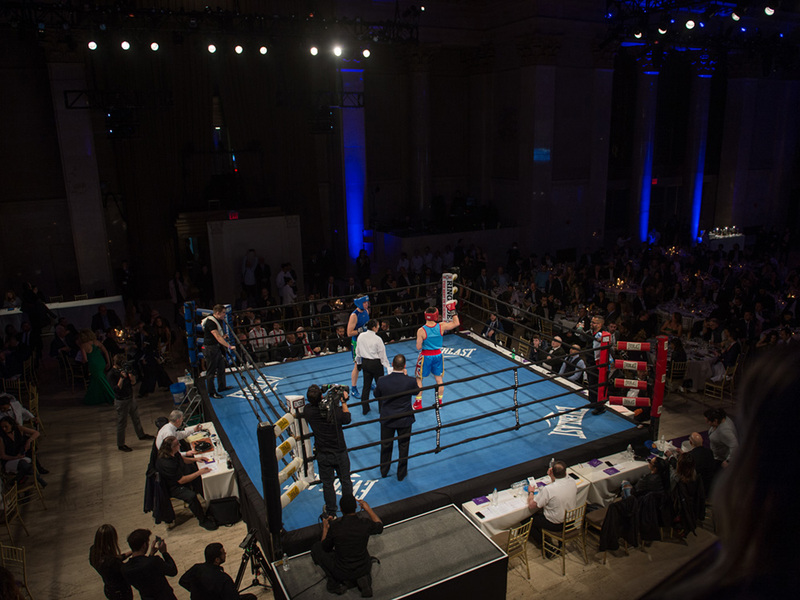 After his moving remarks, All Hands and Hearts co-chair Tina Lindstrom took to the ring to introduce their new partnership with Equinox and thank guests for their attendance. Then, veteran sports announcer Mark Fratto stepped into the ring to begin announcing the night’s roster of bouts. The evening proceeded with six fights featuring amateurs in finance representing JP Morgan Chase, Goldman Sachs, Siris Capital Cantor Fitzgerald, among others. The highlight of the night was the last fight between All Hands and Hearts co-chairs Tina “TNT” Lindstrom and Kathleen “Kitty” Kelly and showcased the women’s fierceness as well as their dedication to the cause. 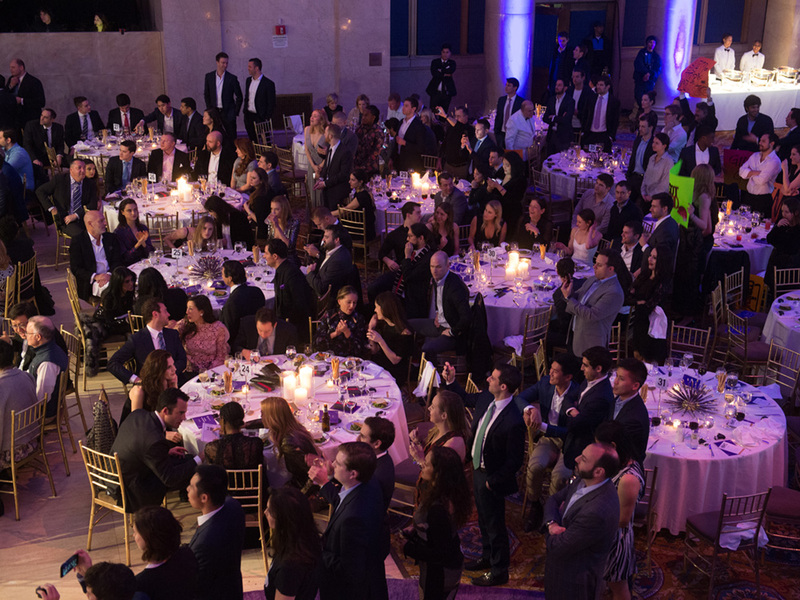 In between the action, Sotheby’s auctioneer Ben Doller led the live auction of eight lots, including a trip to Mexico City to experience the famous Formula 1 on the Mexico City Grand Prix F1 track, and a special VIP package to NYFW. Throughout the elevated evening, the nearly 400 guests were treated to a three-course meal of spring salad, entrée choices of world-famous Cipriani pasta, short rib or sea bass, and family style desserts for a sweet finish. Empire was proud to be a part of this creative fundraising event, having been the producer of All Hands and Hearts’ annual events for the last 8 years and is a leading producer of not-for-profit events globally.